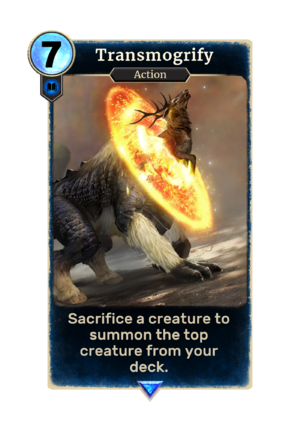 Sacrifice a creature to summon the top creature from your deck. Transmogrify is a rare Intelligence action card. It is part of the Isle of Madness story set.